michael is using Smore newsletters to spread the word online. 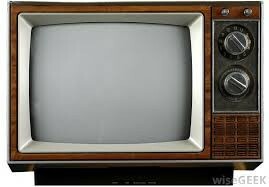 Analog TV's were very popular when they came out, but Digital changed all of that. People would complain that TV channels would ghost or snow, which means that they would be blurry. For, channels broadcasting further away, it would be more blurry. The transmission of the sounds and picture would be too amplified because of how long the trip is to that TV. Digital TV is transmitted by data bits of information, and is just as computer data is written into a music video. As one's and zero's.This was way better for people who lived in more isolated places, because the signal comes out just the same as it was put in, not causing it to blur or get fuzzy. This ended most analog TV's in 2009. HDTV is transmitted the same as digital, but the only reason more people prefer this kind of TV, is because it has more detail or more pixels. This means that more pixels are being transmitted to the TV screen making everything look crystal clear. Analog TV : "What Is a TV Tuner?" WiseGEEK. N.p., n.d. Web. 12 May 2016. It is used for entertainment. It is used in many houses, offices, and work places. this device can be used to watch television. This device is used for entertainment and to tell the public about local problems. Families, Friends, workers, movie producers, etc. This devices transmits waves of sound in FM and pictures in AM making the waves get amplified over long distances. This caused many frustrations and problems. Digital TV : "Macclesfield Cheshire." DIGITAL TV CHESHIRE. N.p., n.d. Web. 12 May 2016. This device is used to amplify a computer screen, watch TV, or listen to music. This device is used in homes, offices, and some cars. This device can be used for entertainment or for work purposes. This device can be used to amplify a computer scree, watch TV, or to listen to music. Most of everyone uses this device if they can afford it. This device transmits waves to a satellite, and comes back down to a TV, making it were you can watch TV were ever you are. HDTV : "8 HDTV Myths Demystified." Msnbc.com. N.p., 14 Mar. 2010. Web. 12 May 2016. This Device is used to watch movies, TV, or work purposes. This device is used in most of every place. It is used for entertainment, alerts, or work purposes. It is used to stream videos, watch movies, watch TV, etc. Most of everyone uses this device if they can afford one. It transmits waves just like a Digital TV, but has more pixels making everything look more defined. Which TV is the Best? The best of all of the TV's is Digital TV. It transmits waves out of the TV the same way they came in, making everything sound and look exactly how it is really happening. 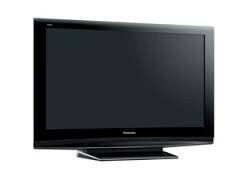 HDTV is considered a Digital TV, the only difference is that the more pixels give it a more crisp look. Analog was blurry and fuzzy, and you could not hear what the people were saying, but Digital TV fixed this problem. Now no matter were you are, you can watch TV in great non-blurred graphics, and hear the sound great. Overall, Digital TV's are the best TV's to get, making Digital better than Analog. "The Evolution From Analog TV to Digital TV." About.com Tech. N.p., n.d. Web. 12 May 2016. "How Is HDTV Different from Ordinary TV?" Explain That Stuff. N.p., n.d. Web. 12 May 2016. "Analog vs Digital." - Difference and Comparison. N.p., n.d. Web. 12 May 2016.